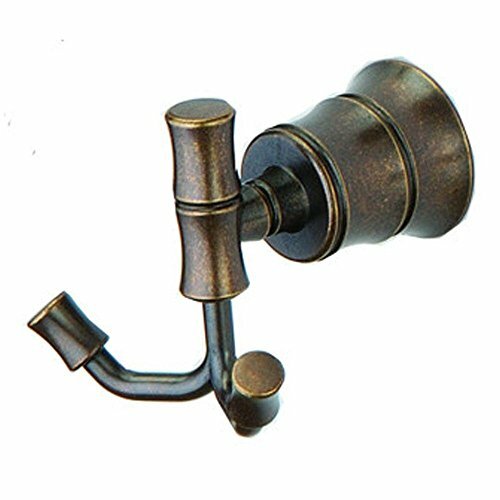 581B-2296H Finish: Heritage Bronze Features: -Traditional style. -Bamboo Collection. -Metal construction. Product Type: -Towel/Robe hook. Style: -Traditional. Mount Type: -Wall mount. Primary Material: -Metal. Dimensions: Overall Height - Top to Bottom: -3.25". Overall Length - Side to Side: -5.31". Overall Depth - Front to Back: -4.08". Overall Product Weight: -4.7 lbs.